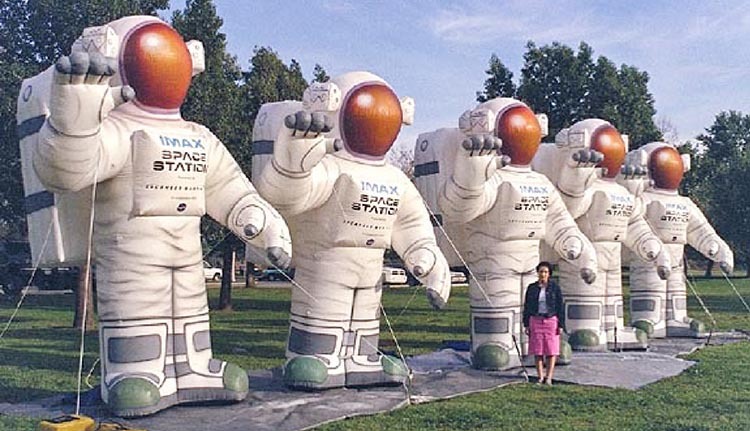 Showcase your logo, character or love for outer space with one of our inflatable products. They are easy to install and they look fantastic, regardless of where you take them. We pay close attention to every detial when manufacturing all of our inflatables.. Every step of the manufacturing process is done as best as possible, from the smallest stitch to the the final inspection. You can see what true American craftsmanship means in each and every one of our products. 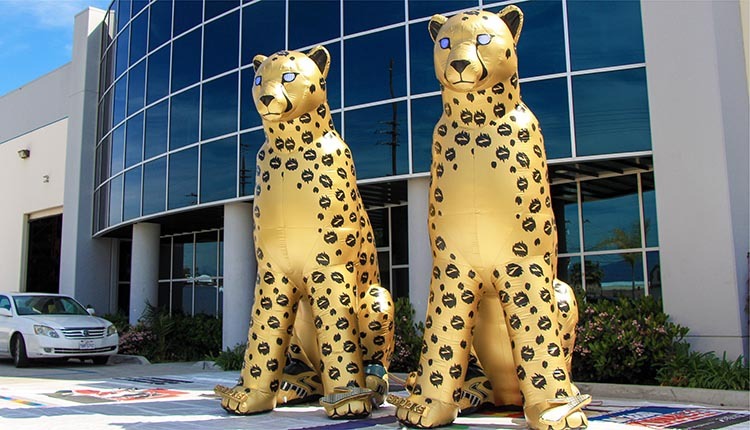 Our animal inflatables are designed with a modern CAD approach that allows us to achieve hyper-realistic look. They are perfect for both indoor and outdoor displays and decorations. 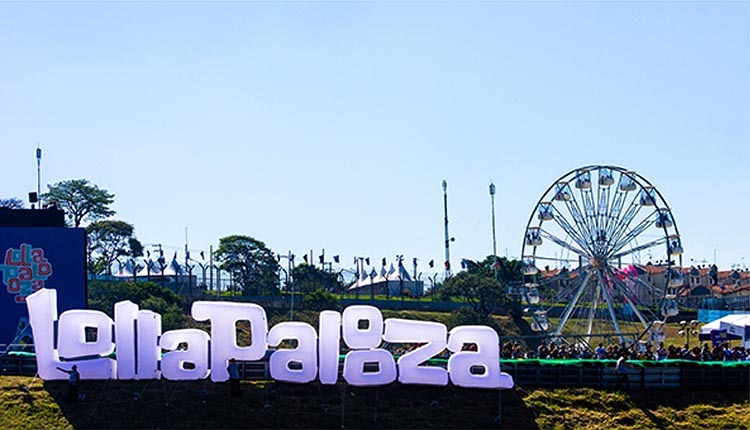 Take marketing signage to a whole new level with a large inflatable sign. Place it at an entrance, in a plaza, or on your roof for maximum exposure in as little as 15 minutes. 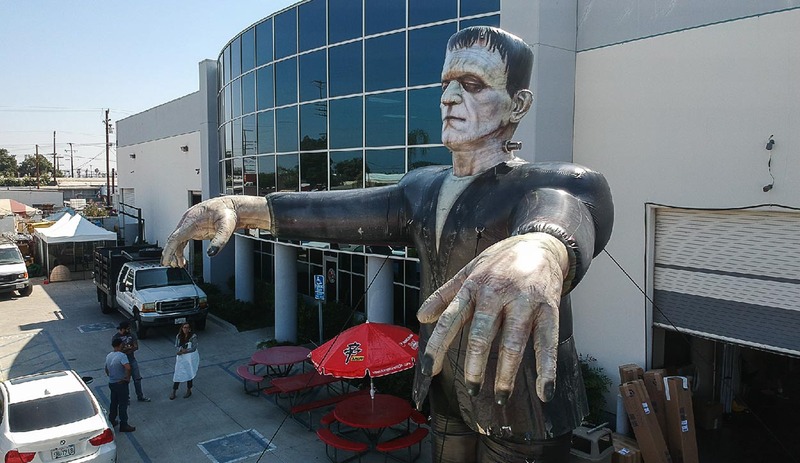 Giant sports inflatables can serve as beacons, centerpieces and large decorations. We can customize them with your logo, branding and your favorite team's name. We manufacture lively 3-dimensional custom characters. We take artwork and logos from paper to CAD and then to real life size products. They are very eye catching. NASA loves our space themed inflatables. They take them to museums, exhibitions and schools to both decorate and help others visualize what planets, rockets and space utilities look like. Decorate this with a spooky set of inflatables this holiday season. Choose from our halloween inventory of witches, jack o' lanterns and more to give your building a haunting feeling. With beautiful imagery and state-of-the-art printing you will make an impact on every passerby. Unique inflatable shapes with attention grabbing looks. Outstanding design with a proffesional touch. Things don't have to be complicated, we mean it. Receive nothing less than the best we have to offer. 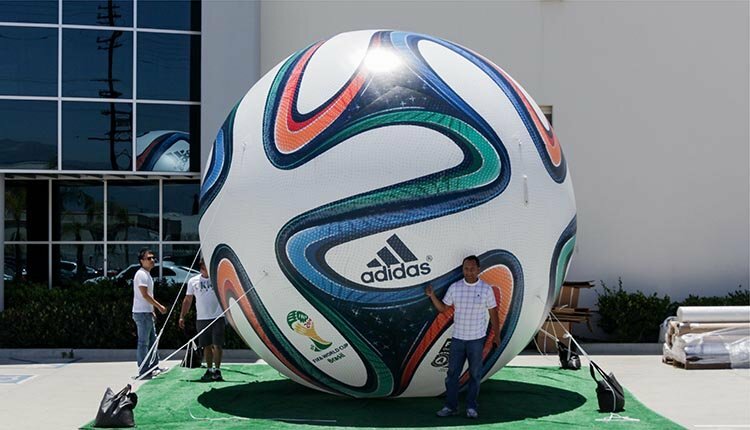 Inflatable marketing products are a very common tool employed by marketing specialist worldwide. With so much competition we aim at manufacturing the best in the business so that ours stand out, not only in looks, but in build quality too. Using better materials for an inflatable guarantees a longer inflatable lifespan. Upon closer inspection you'll also see that we use the best manufacturing techniques that further expand its life, while not only improving its quality but showing off our unparralleled craftsmanship. 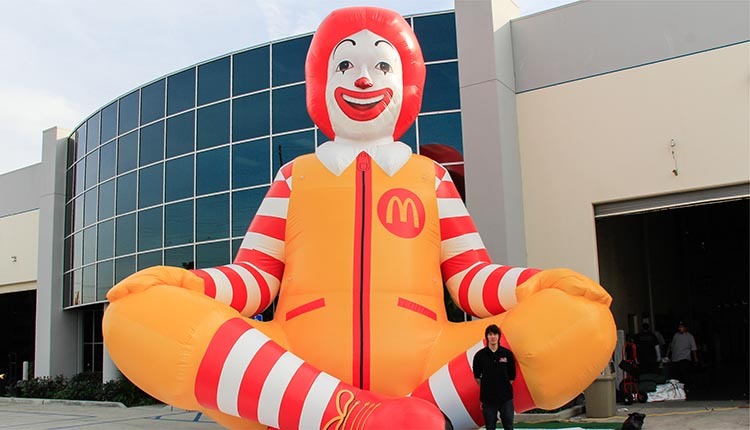 Want to customize an inflatable? We have stock inflatable shapes that can be made upon request, but we can also customize them since were creating every single one from scratch. If you can't find what you're looking for among our previous projects then just let us know since we have a talented in-house design team that will engineer a way to manufacture whatever it is you have in mind while upholding our standards. Below are some examples we've manufactured in the past. Visit out gallery for even more projects under our belt.